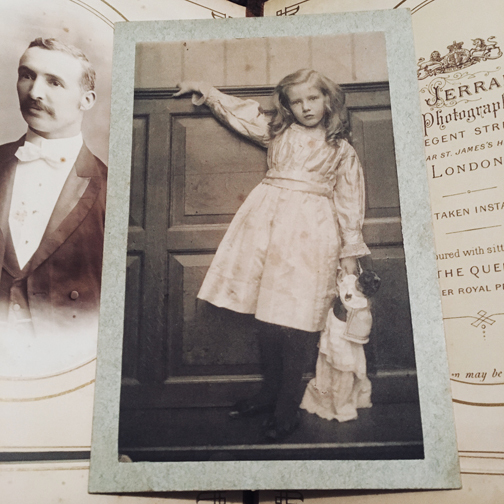 Whilst watching the Argentina V Wales match on TV, I took the opportunity to take a closer look at the Victorian photograph albums sitting in part of my collection at home. Initially I was looking at the bindings, clasps and covers of the albums themselves, then moving on to the contents. I am always dubious about albums containing cdv/cabinet cards as often they have been switched around and filled by previous owners. Its always a bonus if the album has come direct from the family. Of these eleven albums they are a mix of North Wales, Preston, Nottingham, Liverpool and London. The London one on looking a little closer has some of the ‘big’ name studios represented but even they began to blur into one after seeing so many examples. Then one image stood out, a portrait of a young girl holding a doll, mounted on plain blue card. Not the usual branded card with studio name and details on both sides. 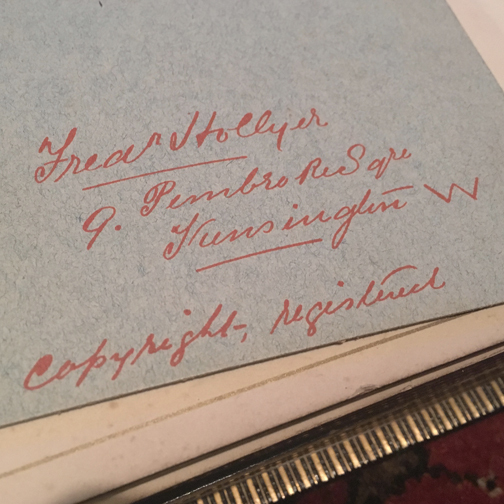 On the reverse was some hand written notes, usually they are of the sitter, so I searched online for Frear Hollyer… oops, kicked myself when I realised it was actually Frederick Hollyer. I’d read about Hollyer in the past as he was well known for photographically documenting artworks, especially paintings of the pre-Raphaelites and the drawings of Edward Burne Jones. All sounds very familiar. The Adoration of the Magi at MMU. As a sideline and for relaxation, Hollyer set aside one day a week to photograph portraits of his friends, colleagues and celebrities. This image has a panelled background which seems to be a recurring theme. Which rather than being a panelled wall I believe is the panelling of a bench/settle/seat. A quick Google search brings up a number of examples with the panelling, I wonder if the seat still exists? So who is this young girl? There are no similar portraits online as far as I can see. Maybe a daughter of one of the pre-Raphaelites or one the the members of the Linked Ring? 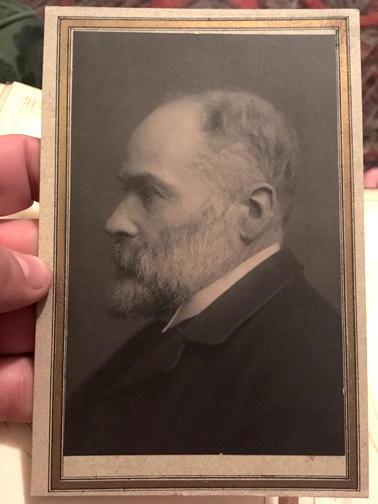 His portraits definitely has a particular style and he printed his works in albumen, carbon and his preferred medium the Platinotype. His prints of artworks were so successful they were often mistaken for original drawings. Looking back through the same album I noticed this additional portrait by Hollyer. I’ve no idea who this sitter is either? If anyone has any info please just message me. Thank you. 17 Jun This entry was written by Fourtoes, posted on June 17, 2018 at 11:45 AM, filed under Misc.. Newer: Victorian wet plate negatives and some news.